I'd forgotten how beautiful the Westcountry is in the sunshine. Back visiting my parents in Weston-super-Mare where I grew up, this afternoon was a perfect one to revisit a childhood favourite walk. We set out in long-sleeved t-shirts only, unexpected for March, me with borrowed pairs of Craghoppers trousers and Ray-Ban sunglasses, both of which I now have my eye on acquiring when I head back up north! So where is this walk that I have such fond memories of? Crook Peak in the Mendip Hills. Our family has always known it as Crooks Peak, which to me conjours up images of bandits, perhaps pirates being so close to the sea (well, the Bristol Channel in reality). I only found out different when I saw it in Trail or Country Walking the other month and even then I thought they'd got it wrong, not me. But the Ordnance Survey map definitely has it down as Crook Peak and Wikipedia says it means “pointed hilltop”. Ah well! 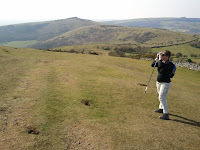 There are a couple of ways to reach Crook Peak. You can park in the car park on Webbington Road and climb up the side of the hill picking your way through the gorse. This is the shorter but steeper route. Or you can take my favourite longer afternoon route as we did today. 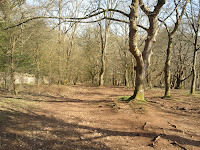 We parked in the King's Wood car park and started the walk up through the woods, following the West Mendip Way long distance footpath. Today the ground was fairly dry but I've been up here before when I've been picking my way along trying to avoid slipping and falling over in the mud. Many hours were spent in these woods on school camp, gathering fire wood to attempt to cook the evening's dinner. I remember well some hard potatoes! The ground flattens off as you leave the woods and you walk along to Hill Farm before rising again to the trig point on Wavering Down. I've never before wondered, but quite some discussion was had today as to why the trig point is here and not on Crook Peak which to the eye is clearly higher. 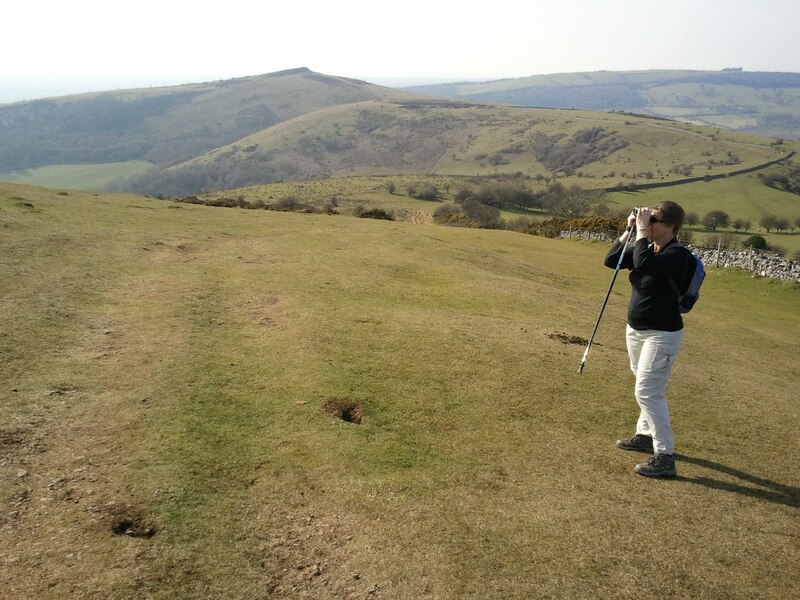 We decided it must be due to its visibility from the trig points atop surrounding hills before consulting the OS Map and finding it at 211 metres compared to Crook Peak at under 200. Proven wrong for the second time today! I've never seen so many animals on Wavering Down as today, two types of cow, sheep and ponies that at one point bolted along the hill at speed. My mum tried to convince me that the brown sheep used to be black but had just faded over time, like a jumper in the wash, but I wasn't having that. 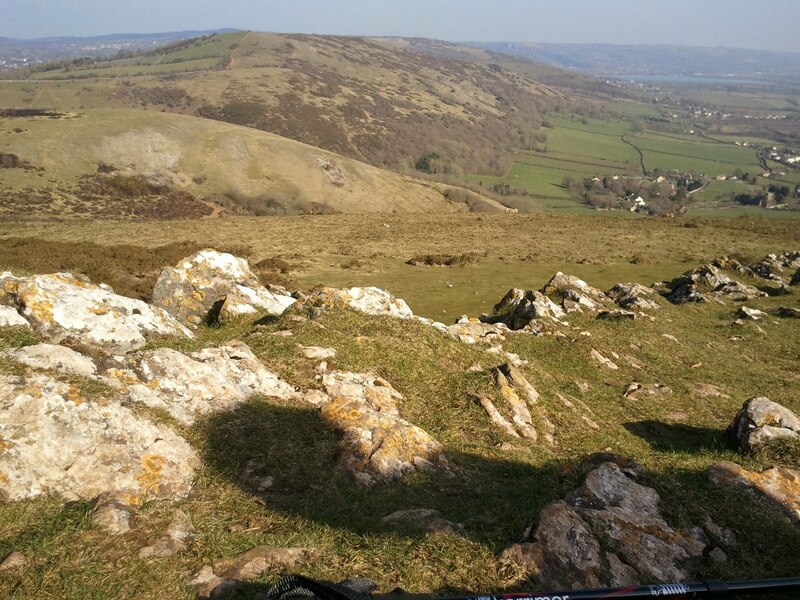 From Crook Peak itself you get a panoramic view including Weston-super-Mare, Brean Down, Brent Knoll, the M5, Glastonbury Tor and Cheddar Reservoir. On a clear day you can see across the Channel to South Wales but today you could barely see the water. 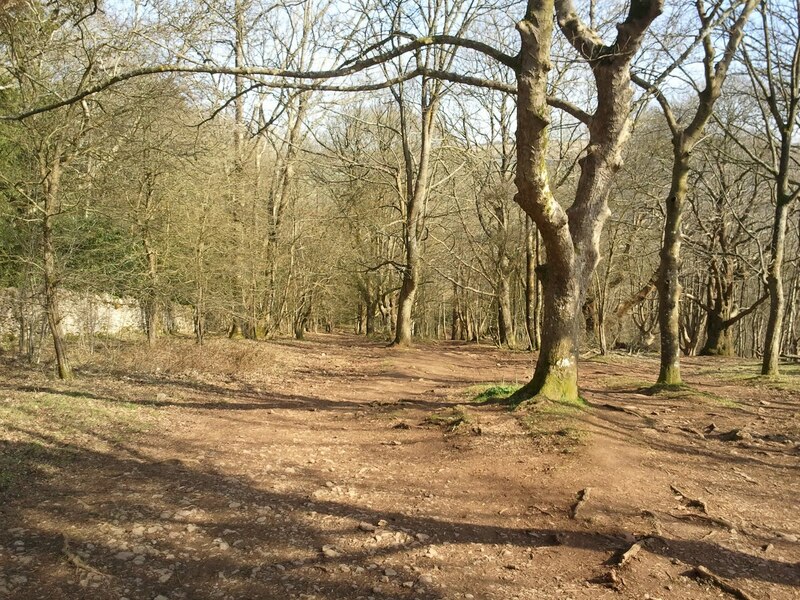 On the walk back, while my parents continued along the flat, my dad challenged me to go off path and cut the corners, heading down hill then back up the other side and meeting them back on the West Mendip Way path. It made a nice change, some contours and a climb over a gorse bush where there was no way through. As always Crook Peak provided a great family afternoon walk, before we headed home for afternoon tea and the rugby. It might be small but it's one of my favourites. lol, don't ask me - i always go with my mum and dad! My mother's family were from Brean Down, Berrow, Burnham area - since the 14th century apparently - and I always knew it as Crooks Peak.